You look like your song is “Drip Drop” or is it “You’re So Beautiful”? Jamal, Hakeem and the rest of the Empire gang kept the hits coming during the first few seasons of the show. The new season of the show is right around the corner and we can’t wait to see what Timbaland has in store for us. Him, Jimmy Beanz and the rest of the crew never let us down. Serayah McNeill also had an unforgettable track last season: “Look But Don’t Touch” LDBT! Some forget about V. Bozeman’s classic track, “What Is Love.” Quality music is something that the show is definitely not lacking. 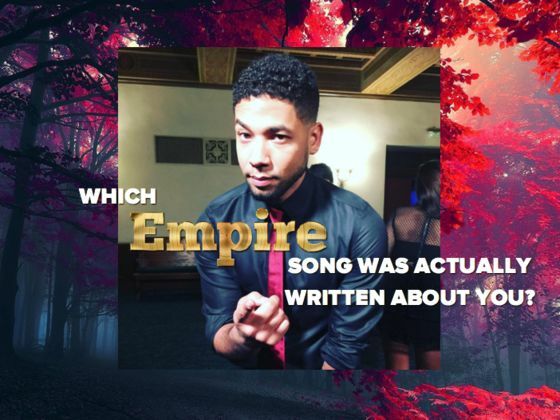 Take the quiz to determine which Empire song was actually written about you!